Three vehicles were involved in a serious crash near Bowen. Kyle Evans. THE Bruce Highway was expected to reopen this morning after three people died in a multi-vehicle crash north of Bowen yesterday. A diesel tanker carrying about 11,000 litres of fuel rolled on the highway, 4km out of Bowen near the Collinsville turn-off, about 2.20pm. Two cars were believed to have been involved in the triple fatality, which left the highway closed until at least midnight. The Bruce Highway was also cut north of Townsville by bushfires at Rollingstone yesterday. Queensland Police shut the Bruce Highway in both directions yesterday afternoon, estimating it would reopen in the early hours of today. 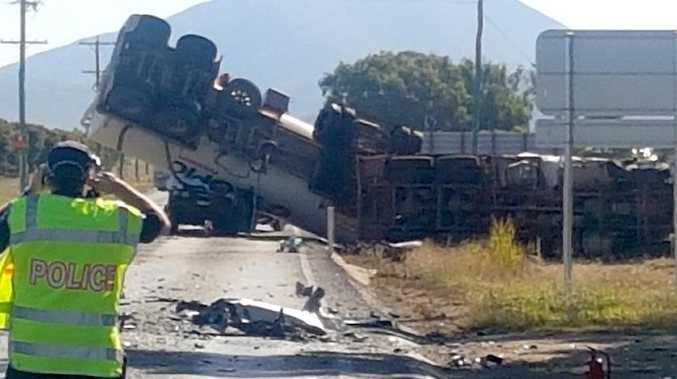 Yesterdayâ€™s crash left a scene of devastation, with the truck coming to rest on top of one vehicle while a smashed white Toyota HiLux was on the side of the road. Police officers on the scene confirmed three people had died. Families were being contacted last night. It was understood two victims were in one vehicle and a third victim was in the other. A Queensland Ambulance Service spokeswoman said the truck driver was uninjured in the crash. 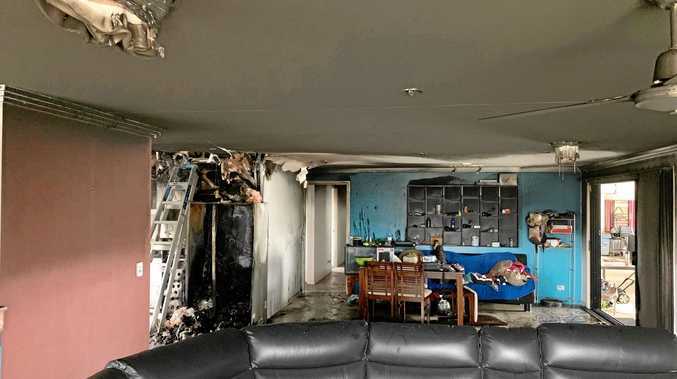 Queensland Fire and Emergency Services crews were tasked to make the highway safe. Forensics officers travelled to the scene of the crash yesterday afternoon. Officers were still waiting to get access to the crash scene as of about 6.30pm yesterday after firefighters had put a 500m exclusion zone in place to deal with the fuel spill. Investigators were waiting for hazardous materials crews to arrive to make the scene safe before they could start to analyse the tragic crash. Meanwhile, firefighters were conducting backburning about 70km north of Townsville, near the Bruce Highway at Rollingstone. The fire broke out about 11am yesterday and forced the highway to be closed late in the afternoon. It was hoped the highway would reopen at Rollingstone last night but that depended on the conditions.